Not sure if it's just me, but I have a slight obsession with balloon animals. As I had mentioned, I am looking to reduce my waste when it comes to parties so I'm going to abstain from using real balloons. However, these cute balloon animal items are meant to be re-used, reworn, and displayed for years to come! If you're got a soft spot for balloon animals, check out my gift guide on all the best items to get! We've got jewelry, clothing, statues, piggy banks and more! Am I alone in this obsession with balloon animals? I just love them! What do you think about balloon animals? Love em? Hate em? Let me know in the comments below! One of my favorite parts about blogging has become photography. I love seeing my DIY ideas come to life through my tutorials. I imagine people seeing the photo on Pinterest or Instagram, getting that excited feeling in their chest, and excitedly clicking on the link to see more. I remember the days before I had a blog, going onto Pinterest for hours and browsing all the amazing ideas on there. I also remember wishing I could have my projects on there too. The fact was though, my photos were NOT good enough to be on Pinterest. I'm a bit of a perfectionist, and I didn't want to be up there unless I could be as good as everyone else. I knew my craft ideas were good enough, but my photos were not. I had a few skills I had learned over the years, including some from an intro to photography summer course in college. We learned a bit about the features of the camera, but we only used auto mode, and were told never to use flash. The class focused on teaching us about the composition of a photo (and what makes a good one) rather than really getting into the nitty gritty of how to use the camera. So while I took some really cool photos in this class, I found that my skills were really only good for taking cool photos outdoors. When I started working on my blog around April of 2016, I used a few of my basic skills to take my first set of photos. Now, while the photos weren't necessarily bad, they weren't good either! They were dark, unevenly lit, and a bit blurry too. Not exactly the makings of a professional blogger! While they say comparison is the thief of joy, for me it was the catalyst to improve my photos...Right away. I upgraded all my equipment and finally started to see some major changes in my blog photos. Since I had a very limited budget for my photography upgrades, I found some decent equipment (mostly on amazon!) and made the most of it. I have to say though, these upgrades, along with new editing skills, took my photography game to a whoooole 'nother level. So, without further adieu, here's what I use (and love) for my blog photography. Backdrop Stand- Since my attic has some lovely sloped walls, I needed something to give the illusion that they were totally normal, flat walls. I decided the easiest and probably cheapest solution was to go with one of these backdrop stands. It's been helpful for so many posts in conjunction with a seamless vinyl backdrop. I used to put it up only when I needed to take pics, but since I have the space, I just keep it up all the time. Sometimes I trip over it (ugh) but it's worth it to have the photo studio ready to go at any moment. This set comes with fabric backdrops, but I use a vinyl one which doesn't have wrinkles. See below for that! Softbox Lights- In my honest opinion, these have been the most helpful change I made to my photo setup. Before I bought these lights, I couldn't take bright, evenly lit photos no matter how hard I tried. I was rejected from craft sites due to my photos and I didn't understand how I could possibly fix it, until I started using these lights. They are seriously a game changer, and they do fold down pretty small, so they can be stored in a closet or something. If you're serious about photography, I highly recommend getting them and finding a place to store them. I also suggest buying an extra set of bulbs. I accidentally knocked my lamp over and shattered a bulb and couldn't work for a few days while I waited for the replacement! Seamless Vinyl Backdrop- This seamless vinyl backdrop is perfect for using as a backdrop on photos! I've used it for DIY's with larger items like my Cricut and for photos of myself. It's most useful for party posts, because my studio is in the attic with sloped walls, which don't look fab in photos. White Backdrop - for small desktop items, I purchased this small white backdrop. I put it on my desk/folding table to have a crisp white surface for photos. It's easy to clean and reusable, so it's perfect for craft projects. I do recommend covering it if you're doing something really messy though. One time I spilled oil paint on it and the stain couldn't be cleaned. But, for everyday stuff like glue, acrylic paint, or glitter, it's perfect! Desk/folding table- To take all these photos, you'll need a nice, empty surface. I recommend having a dedicated desk for photos if you have the room. Otherwise, purchase a folding table so that you can have a dedicated surface when you need it, then put it away when you're done. Don't go too cheap with a folding table, because you don't want it to tip sideways or fall over if you accidentally bump it. This folding table is cool because the height adjusts! Canon Eos Rebel T6- In December 2016, I switched to this camera and it made a huge difference! This camera packs a lot of bang for your buck and it's a nice size. I didn't have a huge budget, so I use the 18-55mm lens it came with. Somewhere down the line, I hope to get a fancier lens, but this one works just fine for now. I hoarded gift cards for a while to buy this camera! If you've got a gift-giving occasion coming up (Christmas, birthday, graduation) be sure to spread the word that there's a camera you've got your eye on, and that all you really want is some assistance to purchase it! Or, have a family member (like a sibling or husband) suggest Visa/Mastercard gift cards to family members so that you can purchase it. If there's a will, there's a way. Adobe Cloud- Aside from using Photoshop to edit photos (which works amazingly!) I use Bridge to sort my photos and Lightroom to do a tethered capture. This allows me to see my photos on my laptop screen and be able to assess them before I need to edit them! Since I'm usually doing DIY posts, my camera is way up and I can't see the viewfinder or screen at all. For only 10 bucks a month, these programs have made a world of difference for me! Horizontal Camera Mount- ok DIY bloggers, this one is going to blow your mind!! You honestly need this if you're doing overhead shots! It's perfect for recipes, step by step tutorials, party setups, or any type of flatlay you can imagine. It's lightweight and perfect for getting a shot with your hands in it! Seamless Backdrop Paper- I purchased some backdrop paper in Tulip and Baby Blue and I want all the colors now! it's great for changing up the look of your photos or even your room. I used it for my Pink Disco NYE Party and my Polly Pocket Iron On Tee pics. It's not super cheap, but it comes with quite a bit of it! Lens Cleaning Wipes- These are amazing for cleaning your camera lens, laptop screen, or even your cell phone. They don't leave streaks, dry quickly, and are lint-free. Plus, since they're individually wrapped, you can pop them in your camera, purse, laptop bag, desk... anywhere you may find yourself needing a screen wipe! Mouse & Keyboard- When I use my laptop, I usually use it on my lap (hah) and use the trackpad to get everything done. But, when I'm taking photos, I use the tethered capture and have my laptop across the desk from me. So, I use the mouse to get everything done! I use it to click open apps, zoom in, and press the button on Lightroom to actually take the photo. The keyboard is obviously used for typing, but it's also good for zooming into pics with the space bar, or for rotating images without needing to right click and squint to see the options. Inexpensive Tripod- If you're just getting started, I recommend starting out with an inexpensive tripod. I used this one for months while I browsed Ebay to find an affordable fancier one. But honestly, this one did a great job! It was able to hold my horizontal camera mount, and was perfect for taking photos horizontally. I mostly upgraded because I wanted to get a camera mount to take vertical headshots and photos. Wrapping Paper- For smaller items or messy craft projects, I like to use some cheap wrapping paper to add a pop of color. It's easy to throw away and cheap enough that I don't mind. I buy mine at the dollar tree, but you can find them almost anywhere. I recommend something slightly matte so that it doesn't reflect too much of the item on it. So, there you have it. 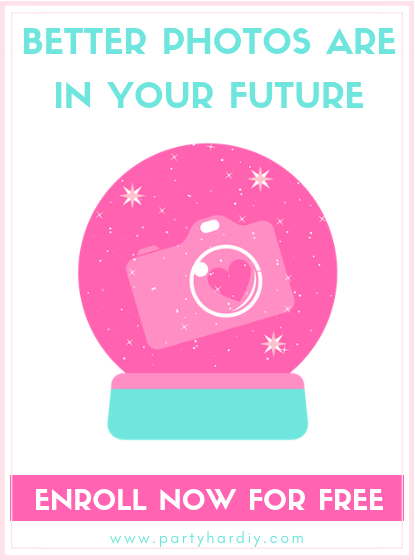 My favorite photography items for beginners and bloggers! What are your must-haves for your photos? Did I miss anything? Any questions I can answer? Let me know in the comments below! Happy (day after) International Women’s Day! Today I wanted to spend some time highlighting some of my fave female business owners! There are so so soooo many amazing women out there doing a variety of things, but I wanted to highlight my fave small business/shop owners! These ladies make and curate some amazing content and I felt it was only fair to give them a shout out on this holiday. So, get that credit card ready- you’re gonna want to support these ladies!! Joy/ OhJoy!- I’ve loved Joy’s items from the very first time I saw them at Target. I’ve probably wanted every single piece! 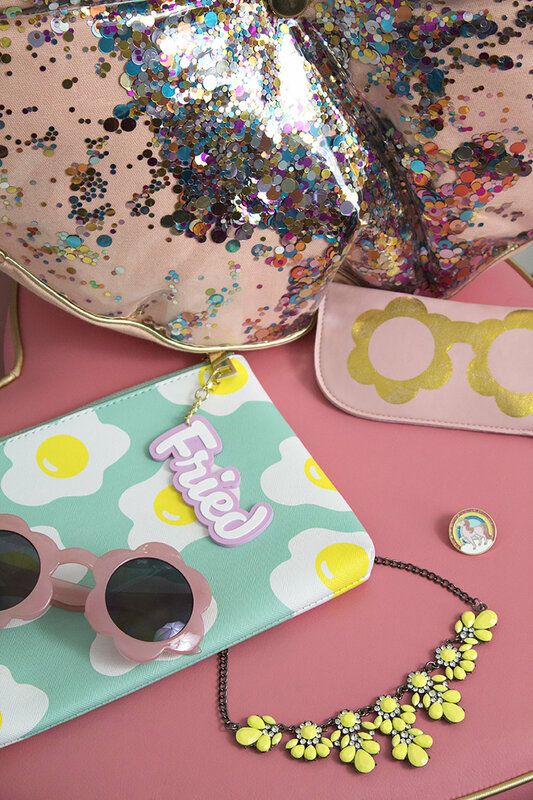 She’s now also got an awesome shop chock full of goodies, a furniture line, luggage (!!) as well as a Cheeky collection at Target! Veronica/Sharptooth Snail -Veronica is a personal friend of mine that I met online through a class I took! Aside from being the most amazingly helpful person, she’s got an awesome geeky-cool shop filled with pins, resin figurines, and T-shirts. Oh, and did you know her work was used by NASA?!? Pretty freakin amazing! Kelly/Studio DIY- Kelly’s shop is filled with all kids of colorful, happy items! There’s so much to choose from, but my favorite has to be her Can’t Clutch This subscription! As a kid, I never had enough money for monthly subscription boxes, so this totally makes my day every time it arrives! Kara/Kailo Chic -Kara had got to be one of the busiest little bees I’ve ever seen! She’s always releasing new blog content, along with both handmade and designed items. I love everything she does, and I’m personally in awe of how she gets it all done so quickly! 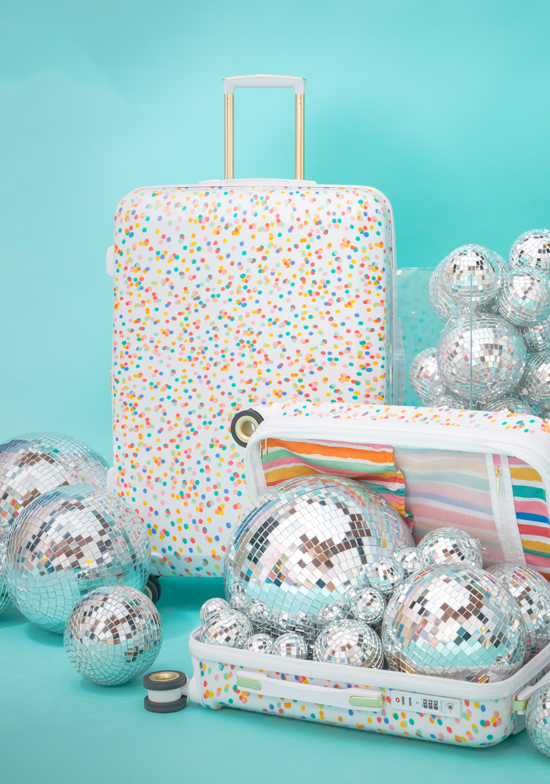 If you’re into confetti housewares and colorful throw pillows (who isn’t...?) you’ve got to visit her shop! Ashley/Sugar & Cloth- Aside from her cutest creation, little baby Gwen, Ashley launched a gorgeous collection with Amazon!! If that’s not goals, I’m not sure what is! Some of her items sold out immediately and I’m not surprised- they’re gorgeous! Caren/Caren Kinne Artwork- Caren’s abstract, colorful paintings are the perfect addition to any space that needs a little excitement! Her fun figures are often based on real people, and to me they’re reminiscent of the Little Miss Sunshine- type books from when I was a kid. If artwork isn’t your think (who are you?!) Caren also offers her paintings on tote bags, etc. Jenni & Leah/Love & Lion- Taking temporary tattoos to. Whole new (adult) level! I love all their amazing designs and they even do custom tattoos too! Natalie/Cultivate Love LA- Natalie’s Smart and Pretty Club obliterated the idea that a woman has to be either/or. Her shop is filled with books and it’s only growing! Stop by to grab your next read or my personal fave, this pin! Marisa/The Neon Tea Party- I met this sweet little lady at a NYC meetup with Jeff and Kelly of StudioDIY. I actually thought she was someone else but my opening line to her was “do you make jewelry? !” Interestingly enough, she did! I really love her fun Pom Pom arts but if you’re itching to learn, she teaches classes in NYC too! Emma & Elsie/ABM & Oui Fresh- ok, what don’t these girls do? They’ve got their Oui Fresh Shop, happy mail, natural makeup and essential oils line, cookbooks, an app!! Mary/Uncustomary Love- despite the fact that she’s a child of the rainbow, Mary spouts positivity in all the best ways! From a stuffed animal slumber party to sending snail mail, her shop is full of quirky and amazing things you can’t find anywhere else. One of her best offerings has to be her body positivity course! In a world where we are taught to hate our bodies, it’s so important to give it some love. Amber/Dixie and Twine- from banners with all the trendiest sayings to adorable confetti, Amber’s ship has everything you need to make your party hip! Plus, you gotta love her amazing product photography! Abbey/Daily Disco- If ever there was something that seemed like a fun hobby-turned-career, this is it! Abbey’s chainstitch embroidery is colorful, cool, and coveted! She does amazing custom jackets for brides, moms, kids... it’s adorable! She also sells patches that you can add to any item you want. Jess/The Knit Knack Shop- my husband has known Jess’ husband since elementary school, so I have the pleasure of knowing her in person! She’s a teacher by day, crochet-er by night. My favorite things from her shop have to be her little cactus plants! I kill every plant I get, so having something that can’t die seems perfect! She’s also a huge Harry Potter fan and makes all sorts of adorable amigurumi animals, characters and monsters. 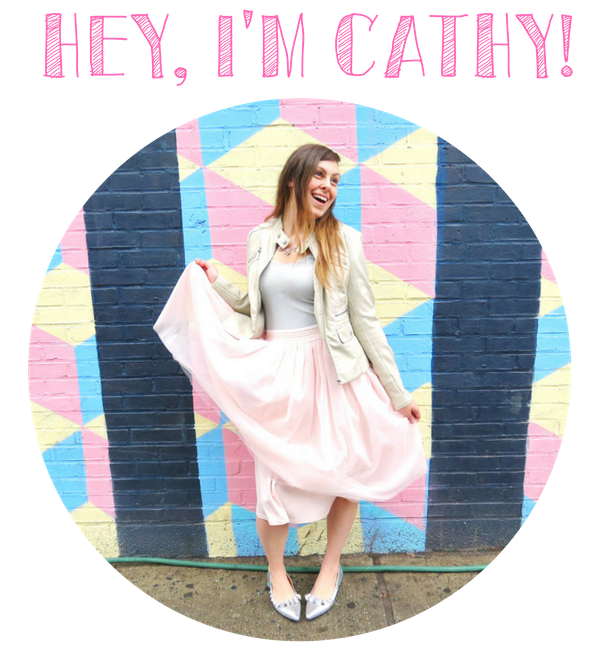 Cathy/PartyHarDIY- Yep, that's me! I opened my shop in December 2017 and it's filled with colorful statement jewelry and fun keychains! And, I have big plans to expand it this year. You can save 17% off with the code MARCH17 until St. Paddy's Day! There you have it! Some of my very favorite shops from my fave biz babes out there on the interwebs. Who are your favorite female-owned businesses? Let me know in the comments below!